This entry was posted in Study Abroad USA and tagged study abroad study in US USA on November 27, 2015 by Blog Author. The USA is the most popular destination for many international students globally. Pursuing Studies overseas is a great experience for a student; studying in abroad makes the students experience a new society of a novel land. International students mainly prefer the United States for seeking their higher education due to their great colleges, universities, high standard of living, diversity, and numerous employment opportunities. 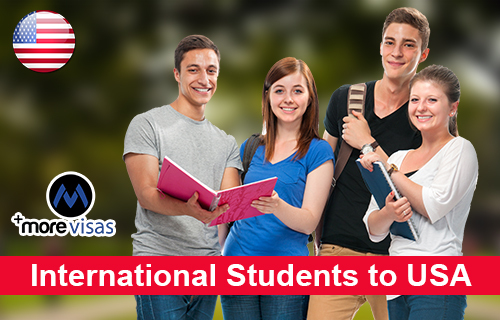 These are just a few reasons for selecting the USA for their higher studies. Abundant Study choices: The main purpose for studying the USA is their colleges and universities which offer innumerable study options for the overseas students. The students can make their own preference of choosing their subject and path of their own interest. This nation has the biggest number of teaching organizations and institutions which have contacts with many industries and research institutions to make the students put on some industrial experience which will be an added advantage for them towards their field. Outstanding learning organizations: This nation has many famous institutions. There the educational institutions have the best quality in training and their course programs. The quality of education offered by these universities and institutions are the best on the globe when compared to other countries. Certificate received from these universities or colleges are considered and are given more significance everywhere in the world. Offer the best Industrial Trainings: Schooling in this nation does not denote that education is not only limited to classrooms or attending the lectures. The real teachings include the industry experience. This country is renowned for its research the universities and colleges in this nation have associations with many research institutions. So with these relationships the students can obtain some hands-on work experience. Global Recognition: The universities and colleges, of United States have a global reorganization and are acceptable. The employers or the companies of all the field of the industry both public and private respects the diploma or degree gained from a US institution and this is given high significance all over the world. In simple words, we can that having a US degree is like having global citizenship. Global idea: The schools, colleges and universities in this country mainly spotlight on global aspects of teaching. There they train the students by keeping a focus on entire human community and not only the U.S and hence they are prepared best to work and deliver the excellence services in any part of the globe. Campus Life: In view of the fact that education system is very open to all the abroad students, we can make a lot of friends and can learn a lot about different cultures and communities and can enhance our experiences with different culture students from all over the world. If you are interested to study in USA, please fill out our Enquiry Form, so that one of our visa expert will get back to you.